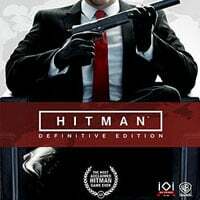 Hitman: Definitive Edition is a complete edition of Hitman, a game from 2016. The new version includes all episodes from the basic version, all content from Game of the Year Edition and some new additions, including Anniversary Outfit Bundle. Hitman: Blood Money Requiem Pack – a set that features Requiem outfit, exploding duck, and ICA Chrome Pistol. Similarly to all previous entries in the Hitman series, the game enables the player to assume the role of a contract killer codenamed Agent 47. Due to a completely new, open (sandbox-like) structure of the gameplay, the title lacks a traditional, linear story that requires the player to act in specific way and order. During the game, the protagonist visits six vast locations scattered across the world. There, they complete tasks that collectively create the plot of the game. However, a stand-alone mini-story related to specific contracts is more important than the main plot that connects all episodes together. The latter becomes more important only in the final episodes. The whole created the first season of the new adventures of Agent 47. The developers already announced that there will be two more seasons. Hitman: Definitive Edition is another step in the evolution of the series. It combines mechanics from previous entries in the saga with more modern gameplay mechanics. The most important novelty is the introduction of an open world – more specifically, a few large locations. There, in addition to the main objective, the players can complete many other challenges and optional activities related to the plot. The missions also became larger and longer, and completing them (including all side objectives) can take even a few hours. The main objective remains the same as in previous Hitman games. The players must eliminate specific targets. The objective can be achieved in various ways. It is possible to participate in open conflict with guards protecting the target, but more subtle methods are preferable. These include getting to the target in disguise, performing sniper attacks, sneaking past the guards with a silenced pistol, making the murder look like an accident, poisoning the targets etc. It is worth mentioning that in this entry, the protagonist can take only a limited number of items on a mission. This forces the player to plan their mission thoroughly and have a few backup plans in mind. Additionally, the game lacks some of the simplifications introduced in its predecessors and the artificial intelligence of guards was improved, making them react to all unusual situations more frequently. In addition to regular campaign where players are completing story objectives in a few vast locations across the world, the developers also introduced a gameplay mode called Contracts. It is a system similar to the one from the previous entry in the series and it includes single online contracts in which players compete with each other for obtaining the highest score possible. In Hitman: Definitive Edition it evolved and in addition to new standard contracts provided through free updates, it includes two completely new types of challenges. The first one is Escalation – a series of five tasks with increasing difficulty. The second novelty is the Elusive Target – a mission that cannot be repeated if the protagonist dies during the mission or if the target manages to escape. Each task of the main campaign also features a series of challenges that encourage the player to repeat the mission in a completely different way. Hitman: Definitive Edition takes advantage of the potential of Glacier 2, an engine known from Hitman: Absolution. The engine was greatly improved to fully take advantage of the eighth generation consoles. The textures and visual effects are of better quality and the protagonist can interact with his surroundings in much more ways. It is worth adding that in the original version of the game Agent 47’s voice actor is David Bateson, who’s been with the franchise since the beginning of the series.